Kelcie Miller-Anderson of Calgary, Ontario, was only 15 years old when she began to wonder why it was possible for dandelions to grow in places nothing else could. Seven years later, Kelcie’s questions have resulted in research that could eventually restore miles of soil ruined by oil production in Calgary–and that’s only the beginning. Analysts say her work could also become a multi-billion dollar industry. That fungus “eats” petroleum, releasing sugars that the dandelion feeds upon to not just survive, but thrive. Attaching the fungus to soy beans was thought to offer a solution to a broader need for food, and without all the dandelions. Then, on to oyster mushrooms that can handle Canadian winters better. Ultimately, she is focusing primarily on the fungus. It just gets simpler as she goes along. There are now about 1,000 references to this young lady on the internet. From oil industry trade magazines to a TED talk and many awards, people appreciate her ingenuity, drive and results. Kelcie’s question demonstrates an appreciative inquiry approach compared with more common problem solving and planning techniques. “What are the strong forces that we may harness for good?” focuses on the dandelion’s success. That is a different view than “How do we get rid of it to maintain or improve what we have?” Google “appreciative inquiry” to see the difference. According to the Center for Appreciative Inquiry, when individuals, teams, or organizations want to make changes, they usually employ a “fix it” model, collecting data, identifying obstacles, and making diagnoses. But some will choose to seek out what is already good and right about the individual, team, or organization. That’s the Appreciative Inquiry (AI) approach. Kelcie chose to see the unusual strength of the dandelion and knew that concentrating there would unlock immense potential. As Hodge noted, the difference maker in approaching desired change is in the questions asked. 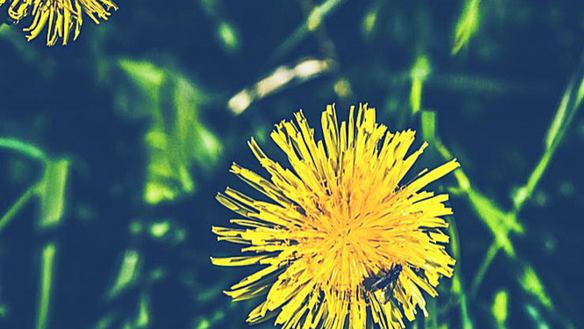 What is the “missional” dandelion question at your church? What are you already doing well to reach the spiritual seeker? How can “things which need fixing” help you innovate and gain insight? Continual “issues” or struggles are powerful things. Can you ask God to redirect that power toward greater good? We know he works all things for good! Where might your church find innovation and new pathways for evangelism outside of its typical knowledge and past experiences? How can you empower others–with their unique and God-given gifts, skills, and abilities–to influence those in their circles where they live, work, and play, for Jesus? Can you identify the Kelcies at your church? What kinds of opportunities can you provide your church so that they can experiment, learn, and grow? What can you do to help them practice sharing their faith, along the way, in the course of their daily lives?